The best way to keep your vehicle running in top shape is to keep up with routine maintenance. 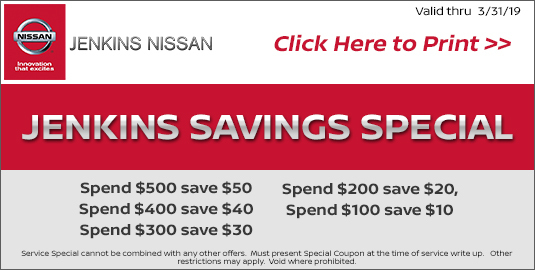 For car service in Lakeland, bring your vehicle to Jenkins Nissan. 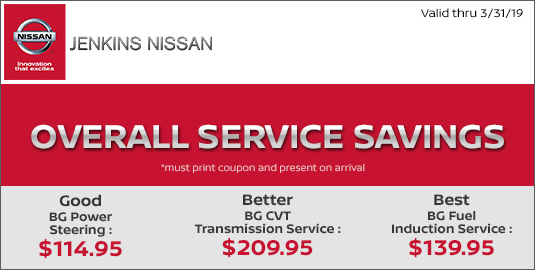 Our Nissan service experts are ready to assist you in any way possible. 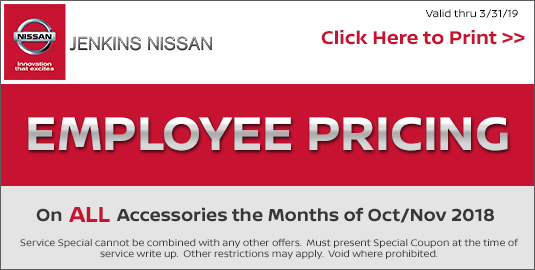 To make sure that our car service is as affordable as possible, we frequently post our service specials on this page. Check them out below. If you'd like to schedule an appointment, simply fill out our online form or stop by our service center in Lakeland today. 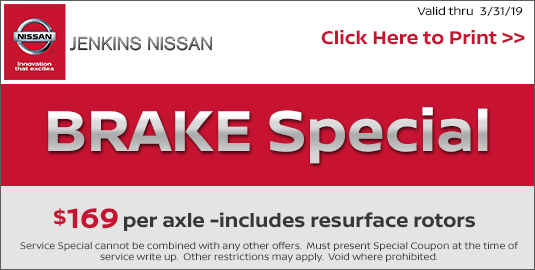 *Service Specials cannot be combined with other offers. 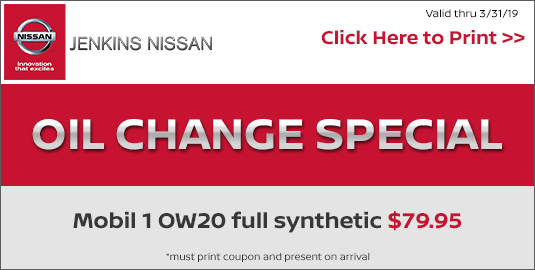 Must present Special Coupon at the time of service write up. Other restrictions may apply. Void where prohibited. Expiration Date 3/31/19. Sunday Hours are by Appointment Only.